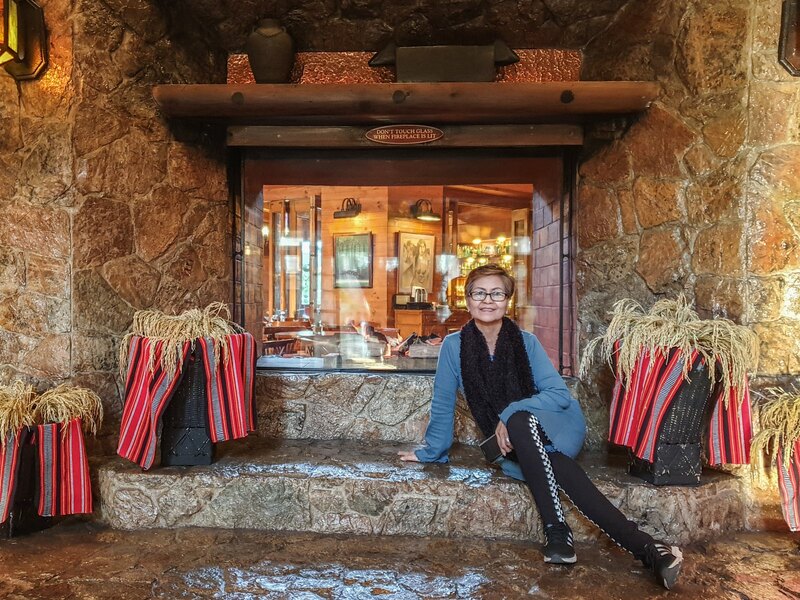 If there’s one thing I like about Baguio, it’s the warmth of the people which makes the natural cold turn to cool. Whether it’s interaction with the locals, the traditional and hip culture, the eclectic food choices, annual festivities, and most specially – the famous tourist attractions! 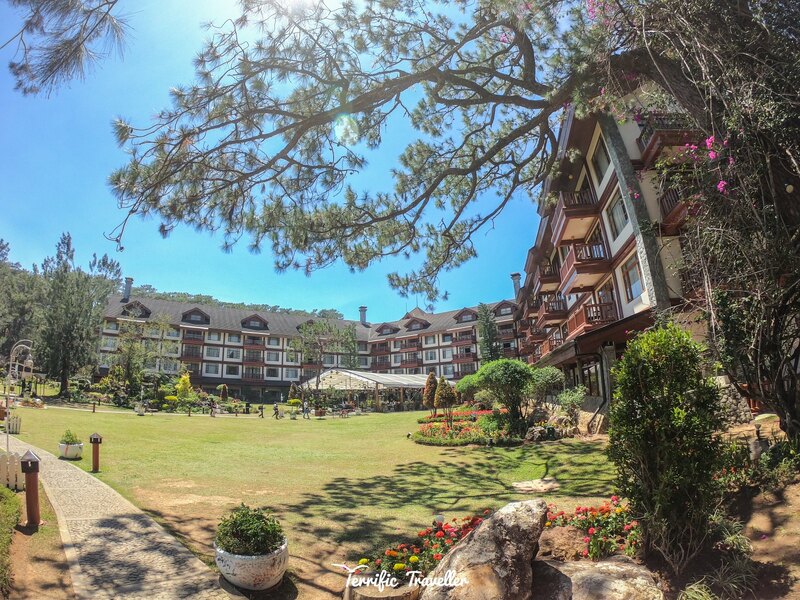 Cool is just one of many adjectives to describe The Manor at Camp John Hay. 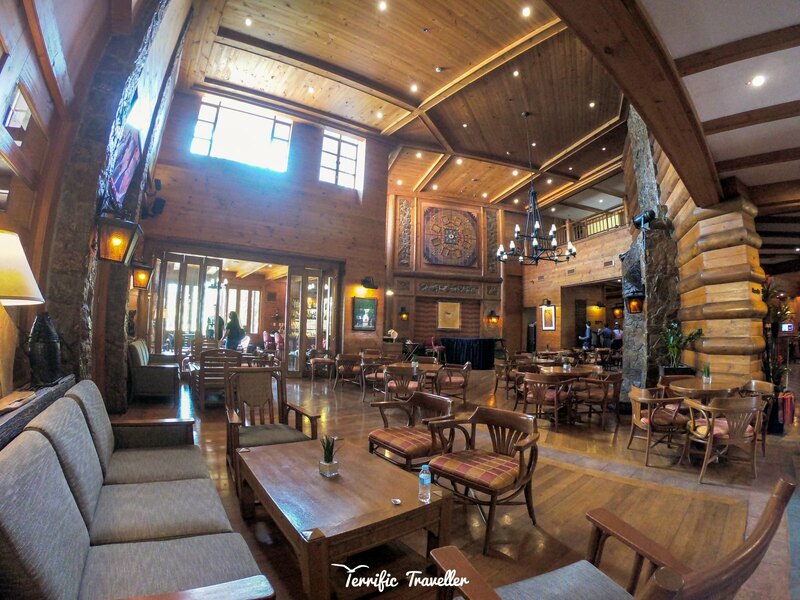 This 5000 feet above sea level log-cabin inspired 4-Star accommodation and experience provider hold a Certificate of Excellence and is a 2019 Traveler’s Choice Winner on TripAdvisor – an American travel and restaurant website company that shows hotel and restaurant reviews, accommodation bookings and other travel-related content. 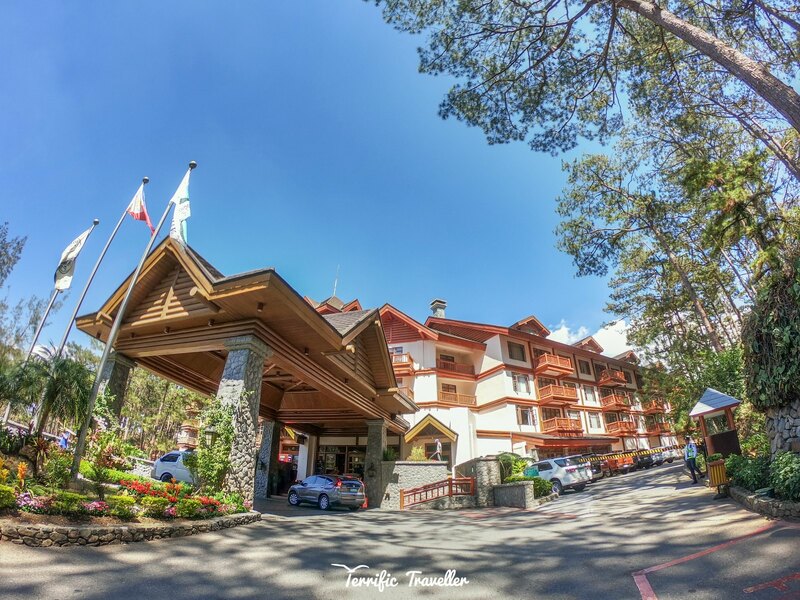 The Manor at Camp John Hay has a 4.5/5 rating (with 5-star service) on the same site, 4.6/5 rating on Google Reviews, (and a lot more ratings you can check online). Backed by thousands of authentic write-ups from guests here and abroad, you’re assured of a grand and memorable stay. Click here to check The Manor’s current promos to get started. My Mom and I were lucky enough to experience “the good life” at The Manor, where we spent two first-rate nights in a lavish 1-Bedroom Suite (Garden View). We arrived in Baguio around 1:00pm on a Saturday, my Mom was excited to get off the bus and feel the cool temperature of Baguio she hasn’t felt since her first visit in the 90’s. 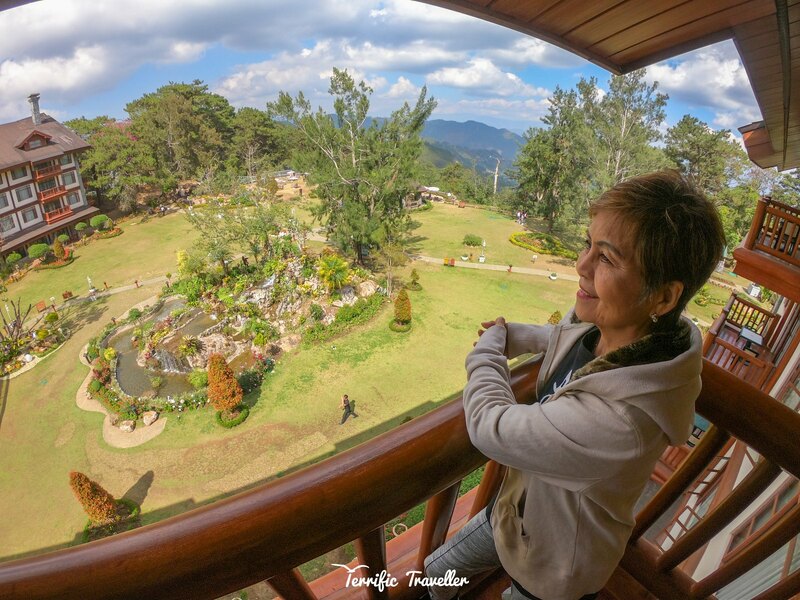 I felt happy I chose to bring my Mom with me (rather than bringing a fellow blogger), so she could enjoy this anticipated stay at one of the most beautiful accommodations in Baguio City. The Manor arranged a Van pickup at the bus terminal to make our journey up the hills comfortable. We were treated like VIP’s by our courteous driver: Ron, who also helped us with our bags. Every guest can avail of this service by contacting The Manor ahead of your visit. The trip going to The Manor was an experience itself. 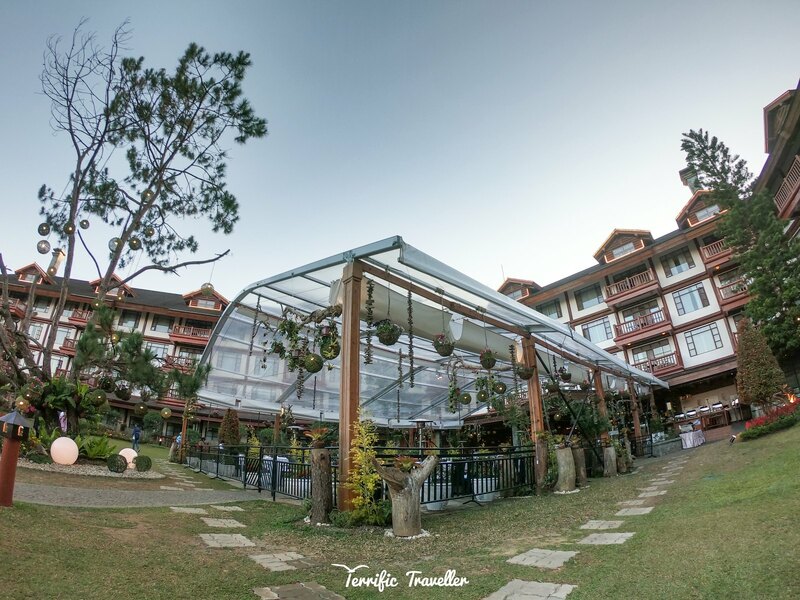 Passing by timeless landmarks, famous tourist destinations, food hubs, towering pine trees, all accompanied by unlimited supply of cool and fresh air from the mountains. 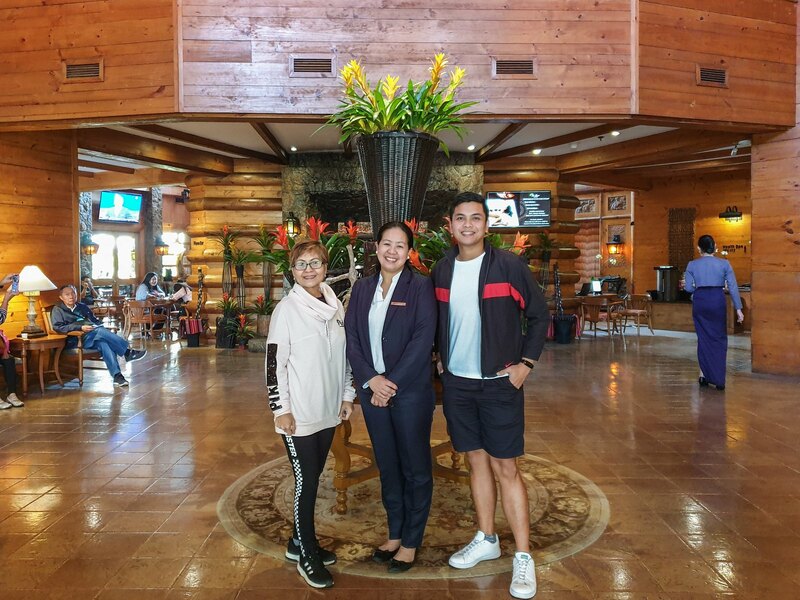 Upon arrival, we were immediately assisted for check-in, and we also met Ms. Windy Lim-Pila, Reservations Manager for The Manor at Camp John Hay. After a small talk and a cup of hot Moringa tea (aka one of the best tasting tea I’ve tasted in my life), pro tip: do yourself a favor and get a cup of hot or cold moringa tea to jump start your day at The Manor. 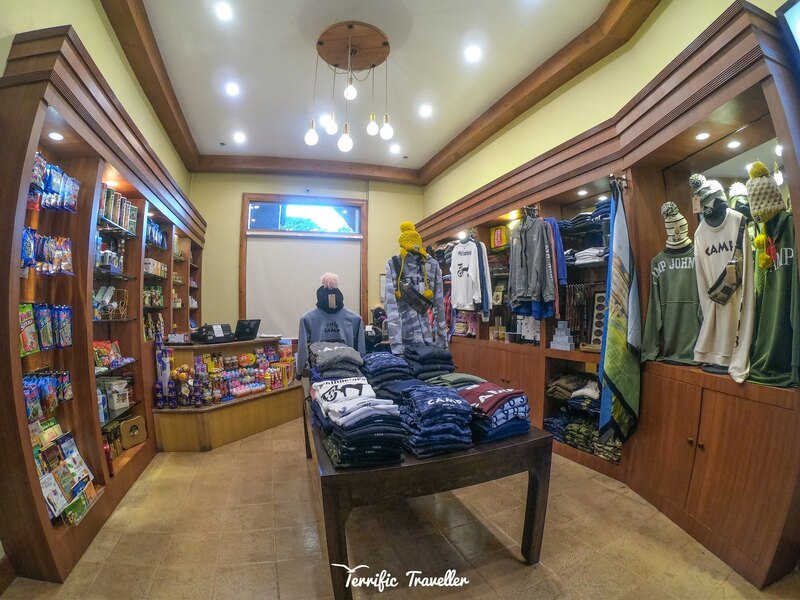 Why go far for souvenir shopping or self indulgence when you can find the answer to your sugar craving, fashion accessories, or caffeine fix (AND MORE) at The Manor’s Sundry Shop? they’re open daily from 6am to 10pm! Those long nights (or days) with your loved ones won’t be complete without a visit at The Manor’s Piano Bar and lounge. On our visit, I remember seeing groups of jazz and alternative bands entertaining guests of all ages. Grown ups can order their choice of alcohol/refreshment at the bar while enjoying their company. There’s also a fireplace to keep guests warm, and this is the spot where you can (safely) take solo or group photos. Mom surely loves her scarf! This distinctive and one of a kind al fresco dining space is accessible to both in-house or walk-in guests. 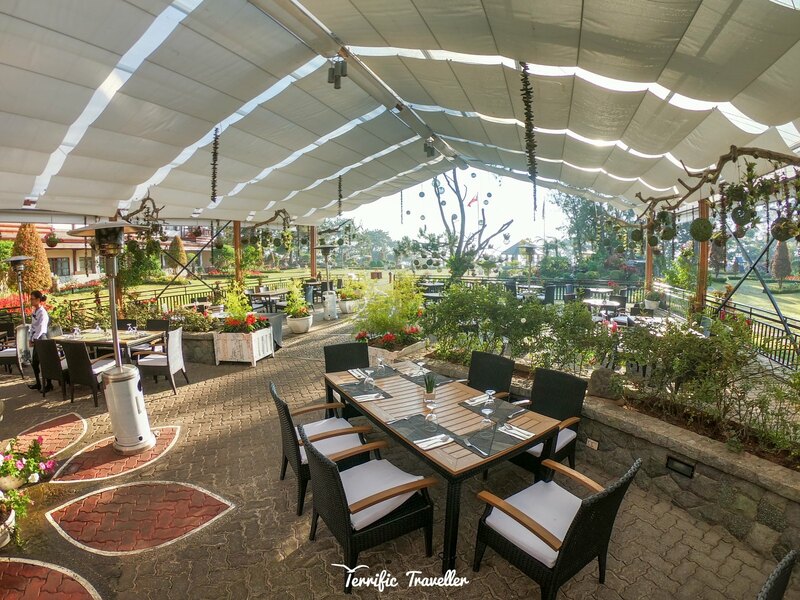 Whether it’s for breakfast, lunch, dinner, or other special/romantic occasions, the Greenhouse’s relaxing ambiance plus The Manor’s lush surroundings and natural cool breeze will make every dining or event experience memorable. Above you see their typical setup during breakfast buffet. 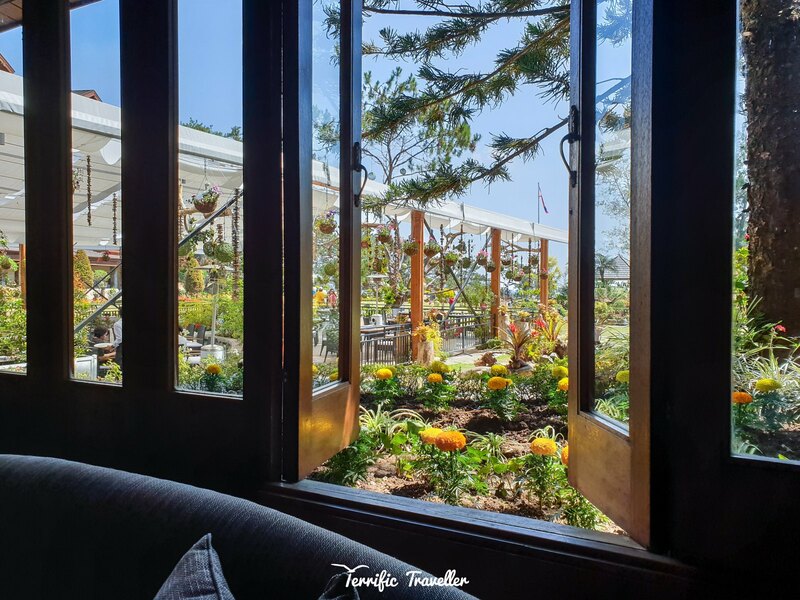 Majority of the guests would prefer to be seated here, just because they want to feel the sun’s warmth and the joy of seeing the lush surroundings of The Manor.